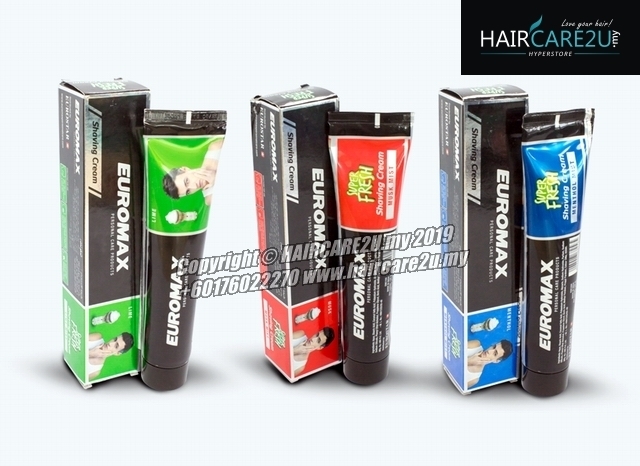 Euromax Super Fresh Shaving Cream is a daily fresh shaving cream that gives you rich lather that softens your beard for an extra smooth shave, and leaves you a cool feeling. 1) Splash water on your face. 2) Release cream on your hand. 3) Apply the cream evenly on to the beard and shave. 4) Get the most desired shave. 5) Wet the razor in warm water before and during shaving.